Hello there! Things to Make and Do posts have moved to Fridays – to get you ready for the weekend and the week ahead. It’s a busy weekend at Art in the Park – both Bill Hudson and Leyla Folwell will be in the studio, running a woodworking class and a plate or bowl making workshop. After that, Monday will be woodcarving with Bill again. On Tuesday Andrea Sinclair will be running a one day pewter workshop, where you can learn to make your own jewellery. And Thursday will be pottery with Leyla Folwell – with classes running in the afternoon and evening for kids and grown ups alike! Phew! To find out more and book your place, click here! This weekend is the last chance to catch the World Photography Awards at Somerset House a great exhibition of contemporary photography, spanning many different subjects such as current affairs, sport, portraiture, landscape and fashion. Museums at Night, the annual after hours event happening at hundreds of museums and galleries up and down the country takes place this weekend. The Royal Observatory, National Gallery, Design Museum and more open up their doors at night for special events and workshops! Ways with Words, a festival or words and ideas is happening this weekend in Opera Holland Park. Each day will feature around five events, with speakers such Alain de Botton, Jeremy Paxman, Maureen Lipman and Jimmy Carr. 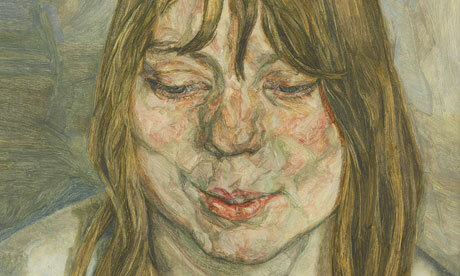 This week will be your last chance to catch the Lucian Freud Portraits exhibition at the National Portraits Gallery. The exhibition runs until the 27th of June, make sure you don’t miss it! Looking for a weekend project? How about these fantastic Hanging Mason jars lights! Quite an advanced project, but a stunning result if you have the time and patience. 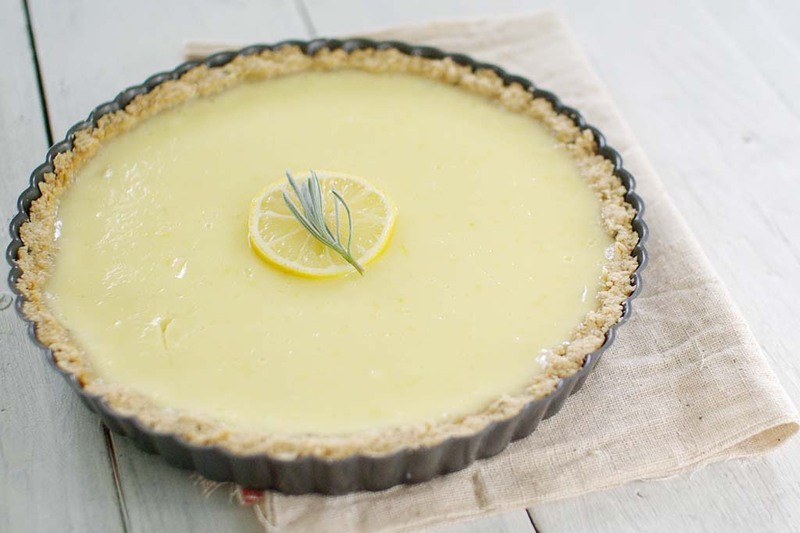 And how about something tasty for the week – doesn’t this lemon tart look good? Yum! Whatever you are doing this week, have a great time! There’s so much going on at Art in the Park this week. Tonight is woodcarving with Bill Hudson – learn which tools to use, health and safety, how to best design and plan your carving, carving techniques, different uses of materials and much more… This Wednesday is the first in our new Lino Printing lessons with Simon Veis, a course which will guide you through all the stages from design to printing. Thursday is pottery with Leyla Folwell, with different classes running for all ages and levels of ability. Try your hand at ‘up-cycling’ old clothes with Jill Newman’s new Eco Fashion workshop on Friday evening. And this Saturday is Life Drawing, a class for anyone who wants to learn life drawing or enhance and work on their practice. For more information click here. How will you be getting crafty and creative this week? There are some great new exhibitions on this week. A new exhibition of Leonardo da Vinci’s study of anatomy opens at The Queen’s Galllery this Friday. This groundbreaking work was lost for 400 years after his death in 1519, but can now be enjoyed in the largest exhibition of his studies of the human body. 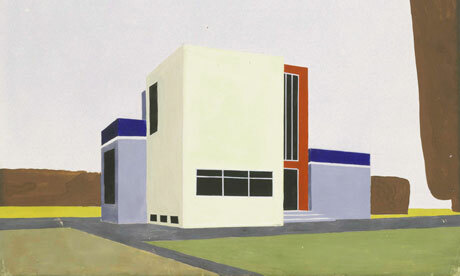 A new exhibition of Bauhaus, ‘Bauhaus – Art as Life‘ opens at the Barbican on Thursday. From expressionist beginnings to a pioneering model uniting art and technology, this London exhibition presents the Bauhaus’ utopian vision to change society in the aftermath of the First World War. If the sun stays out, what a better way to spend Sunday than taking a walk through the bluebells? Take a guided walk through the Bluebell woods within the Garden at Osterley Park and House! Are you looking for something crafty to do this week? 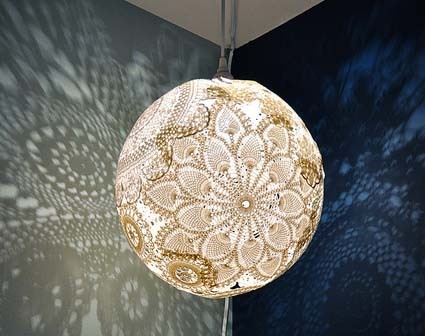 I absolutely love this stunning doily lampshade, why not give it a go this week? Have a wonderful week, whatever you’re doing. Happy Monday again. I hope you had a lovely weekend, and are looking forward to the week ahead! If you’re looking for something crafty and creative to do this week, then we have much to offer you at the Art in the Park studios. Tonight is woodcarving with Bill Hudson – a great class of the art of woodcarving and a chance to make your own sculpture and objects.Tuesday is the art of pewter casing with Andrea Sinclair where you can make your own piece of beautiful and unique jewellery. Thursday afternoon and evening is full of pottery with Leyla Folwell, with classes running suitable for any age and level of experience. And this Friday is the first of a new sewing class with Jill Newman – an eco-fashion and textiles club where you can try your hand at recycling and up-cycling, deconstructing , “make-do-and-mend”, experiment with re-used/junk materials! To see our full list of classes and book your place please click here! There are currently some fantastic exhibitions running in London, if you want to soak up some culture this week. A photography exhibition showcasing the work of 37 international arists has recently opened at the Saatchi Gallery, “Out of Focus: Photography“. Or if you want to enjoy your photography in the sunshine, the Natural History is displaying highlights from the fantastic Wildlife Photography of the Year Exhibition in the grounds of the museum. This weekend is the second annual London Coffee Festival! Celebrating coffee with music, samples demonstrations and tastings. Yum yum! What’s more, 50% of all ticket sales will be donated to Project Waterfall, a clean water initiative currently providing communities in Tanzania’s Mbulu District. Hurrah! 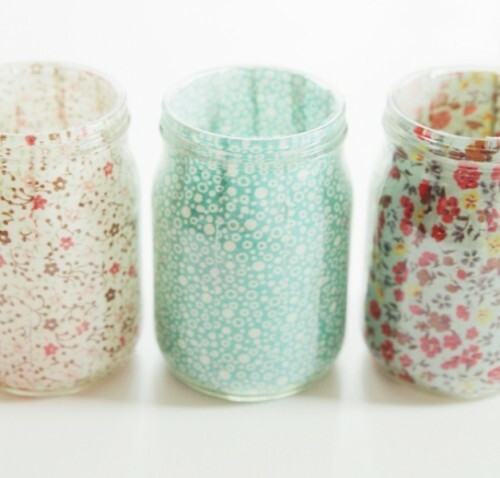 Looking for a quick and easy ways to add some pretty and colourful touches to your home, how about giving these d.i.y. candle holders a go? And I think I might have to make this scrumptious looking lemon-blueberry yoghurt loaf this weekend – who’s with me? Have a wonderful week, whatever you’re doing!